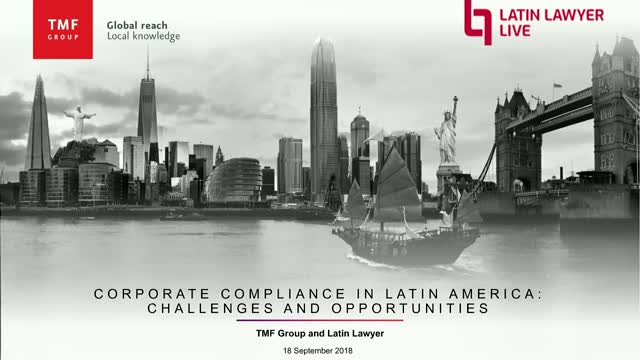 Meeting the global challenge of evolving corporate compliance. 1.An overview of the Compliance Complexity Index 2018 (CCI 2018) - Key global trends and the most and least complex countries. - Países con mayor índice de complejidad en las Américas. Latin Lawyer Live Webinars will focus on the hot topics in Corporate Law in Latin America. Each webinar is hosted by top lawyers, experts and practitioners from the region providing informative discussion for anyone from in-house counsel, private practice lawyers, and forensic consultancies to government authorities. It is an interactive session, around a specific topic, with questions flowing in live from the viewers. This format allows for back and forth dialogue between the hosts and audience, (a staple of our Latin Lawyer Live events).